West Delhi is full of culinary treats that often go unnoticed. When one talks of Street Food, the brain conjures images of Chaat, Momos, Kebabs, Chaap and what not! Areas like Chandni Chowk, Bengali Market and Connaught Place are more than often supposed to come up in such foodie daydreams. Going by ethnic geography, West Delhi has a majority of Punjabi population. Food is an integral part of their culture and every Delhite delights in the glory of Punjabi khana. Therefore, it comes as no shock that West Delhi has several street food joints, given the Punjabis’ love for food. West Patel Nagar is not very popular when it comes to food, with hardly any options but Kennedys has definitely changed that. It is a paradise for all foodies out there and acts as a one stop shop for street food. The co-owner Mr. Piyush Kennedy told us the story behind the name. His grandfather, an admirer of J.F. Kennedy named his son after the great leader. It was then added as Mr. Piyush’s surname by his father and that’s how the shop got its name. They initially started as a Shawarma shop but the high demand for Chowmein in the neighbourhood made them add it to their menu. Since then there has been no looking back. A trip to Kennedys is incomplete without ordering their dips. Each dip comes at an affordable price of Rs.10. The flavours range from Chipotle, Mustard, Mint Mayo to Tandoori Mayo and Salsa. Most of their dishes are given a twist by playing around with sauces and dips. Tandoori Shawarma was made by using Tandoori Mayo on one side of the roll. It wasn’t very great, but worth a try. 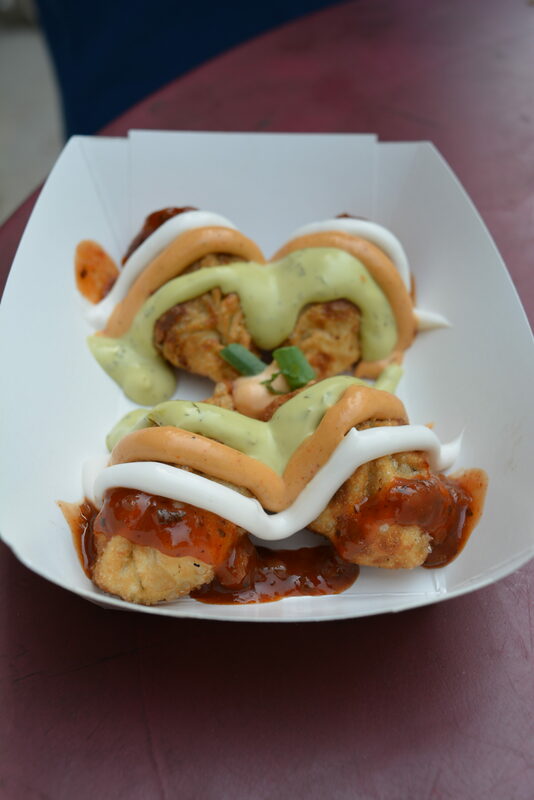 Fusion Fried Momos were simply fried Momos topped with 4 kinds of dips like Plain Mayo, Mint Mayo and Salsa. Chicken Orly is Kennedy’s take on the famous Fish n Chips. This one is made with chicken which is batter fried until a beautiful golden crisp texture is attained. No chips or fries are served alongside which is a major departure from the traditional fish n chips. Chilli Chicken Burger brings together American and Chinese cuisine in a mouthwatering combo. Chunks of chilli chicken are placed between the burger buns to give you a spicy and saucy treat. Another gem here is their Dahi Ke Sholay called Curd Bomb. A mixture of hung curd and a few chopped veggies is placed on a piece of bread and rolled in a Harvest Bread wrapper to give it the traditional shape. It truly is a bomb of goodness in your mouth. The chicken combo comes with two types of chicken. One is chilli chicken while the other one is chilli chicken tossed in a creamy sauce. It is a tsunami of flavours and textures in your mouth as the chilli sauce and creamy sauce blend together in perfect harmony. The Creamy Chilli Chaap was disappointing. One of the characteristic features of a chaap is its melt-in-your-mouth texture. But here the chaap is fried which gives it a hard exterior. However, the sauce in which it is prepared is delicious. The Butter Chicken Pasta was definitely my favourite here. Loaded with buttery richness in every mouthful, this dish is a must try here. My only complaint is the lack of chicken shreds in the pasta; it’s too less. Overall, Kennedy’s is a place that definitely deserves your time, money and tummy space. There is no seating area so if you are living in Patel Nagar, they have a home delivery service or you could just opt for a takeaway.